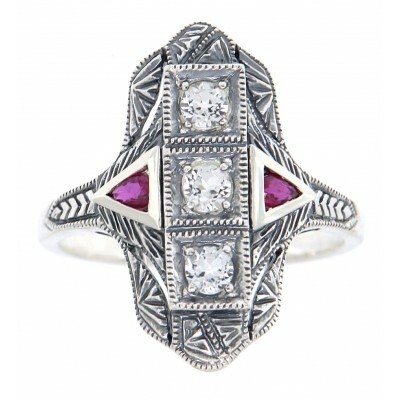 Beautiful Art Deco Style Sterling Silver Filigree White Topaz with Genuine Red Ruby accents. 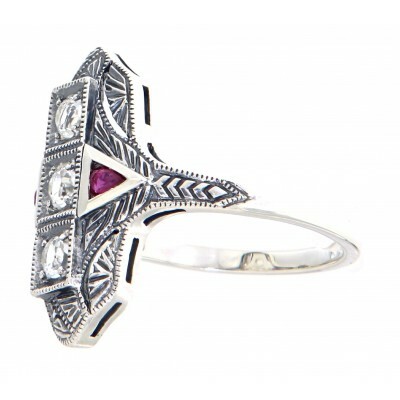 This beautiful White Topaz and Ruby 1920's style ring features 3 stacked White Topaz gemstones, flanked by a pear shaped genuine Rubies on each side. 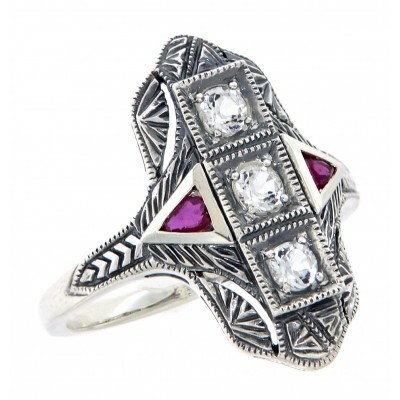 This sterling silver dinner ring is a unique find not to be passed up!